OLD PARKED CARS. : 1966 Rover Mark III 3 Litre. 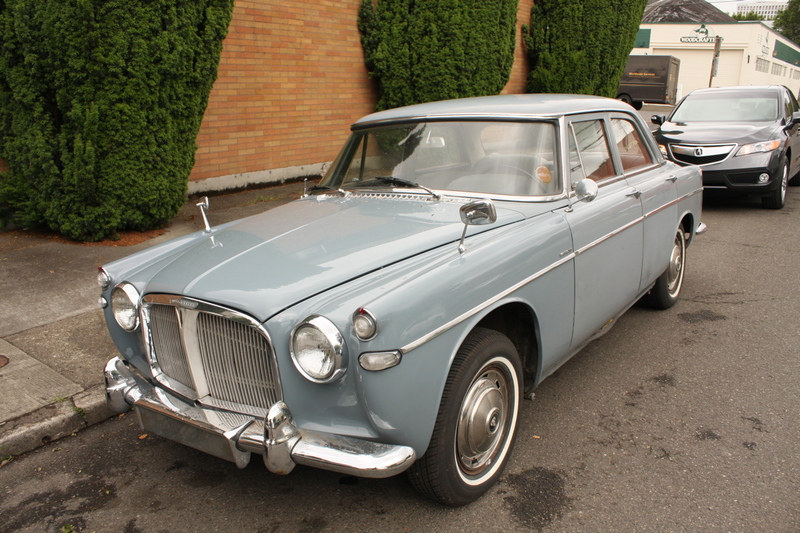 1966 Rover Mark III 3 Litre. That is a stunningly gorgeous car, and one I've never seen before. Are there two turn signal lights on the front? And is it left-hand drive? Wonder if it was built for export to Canada...or maybe even the U.S.? Fantastic blog....I check it out almost every day. these are really amazing, especially moving, those enourmous wheels and bold curves. Like a gentleman with an axe. Still quite common in England. The 3 litre had a straight six based on an old Austin engine (as used by Austin-Healey etc). The 3.5 had a V8 based on a Buick engine. Dual mirrors! What a remarkable amount of presence in a very reasonably sized package. What's that say on the right side of the trunk? Wonderful B pillar, tiny glass and drooping door seal. Would LOVE to drive. Coolest turn signal ever. Dual fender mounted mirrors. Sweet! Love the front fascias on these. "Are there two turn signal lights on the front?" I'd vote that the other one is a parking light, common construction in UK cars at that time. If I recall correctly, only the front mirrors are stock, top of fender mirrors were common in 60s and 70s cars. Unfortunately, you can't see a thing from them, angle of view is so small as the mirror is way too far from driver. Therefore, in order to cope in modern traffic, additional mirrors have been installed and/or original ones removed and replaced with mirrors in door. 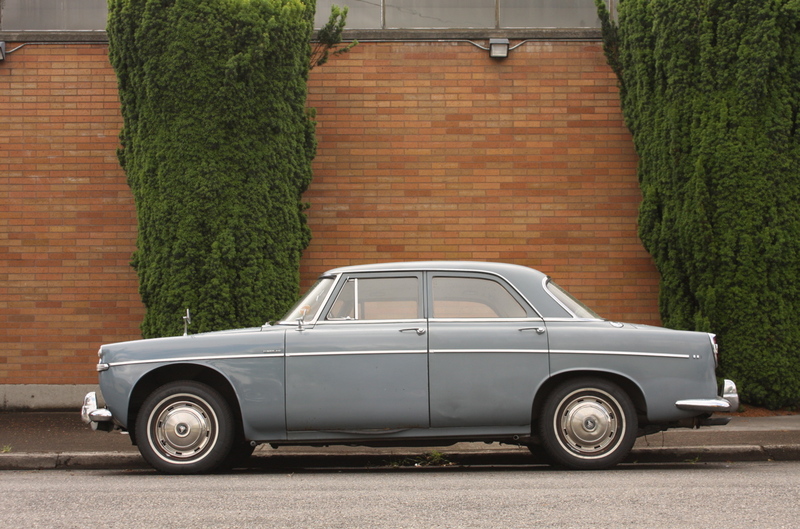 The Rover six-cylinder engine was entirely a Rover design which was introduced in the 50's. There's not a bit of Austin in this car. These sixes are incredibly smooth engines; extremely refined. The were IOE (inlet over exhaust) engines in which the exhaust valves were in the engine block, not the cylinder head. Rolls Royce engines of similar vintage were also IOE engines. 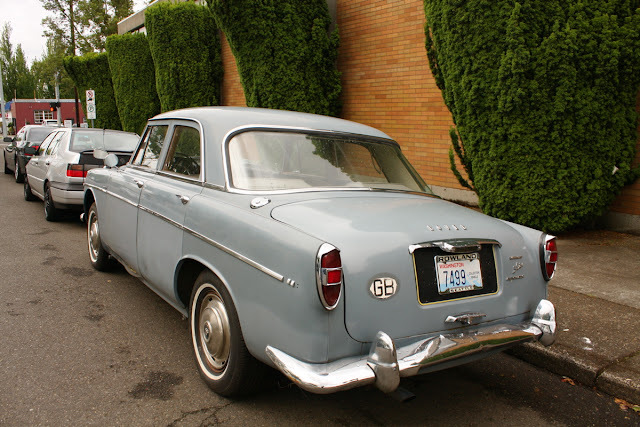 Earlier versions of the six were also used in the P3 and P4 series cars going back to WWII. The Rover V8 was an aluminum block engine that Rover bought the production rights to after GM stopped making them. It was basically the 215 cubic inch engine used by Buick, Olds and Pontiac (not to mention being the basis of the Repco-Brabham F1 engine). I just discovered this site and am going through it - the rover looked familiar. oh yeah. listed for sale. see the bring a trailer article.